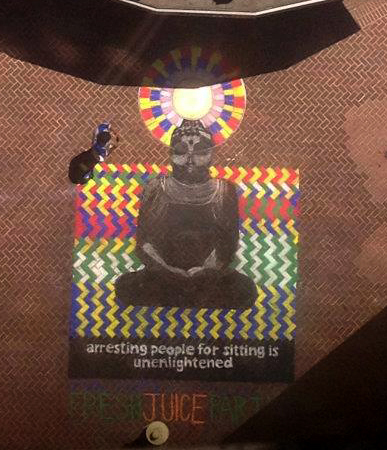 The image is Buddha sitting with a colorful background and the tag line: Arresting people for sitting is unenlightened. Around that time we started hanging around with an experienced activist named Jim Squatter who we’d met through our involvement in marijuana activism. I’d done a logo and song called “Sensible California” for one of the initiatives. 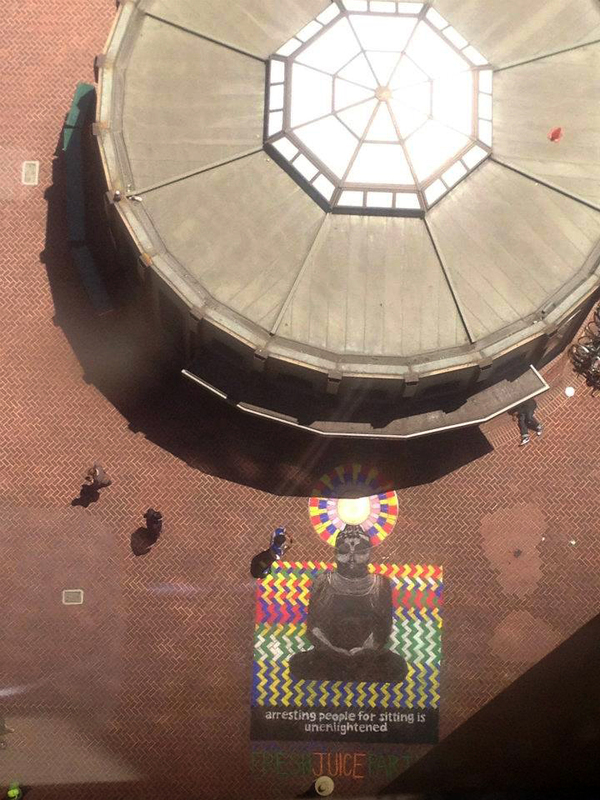 Jim was working with homeless kids to defeat a proposed no-sitting law in downtown Berkeley. 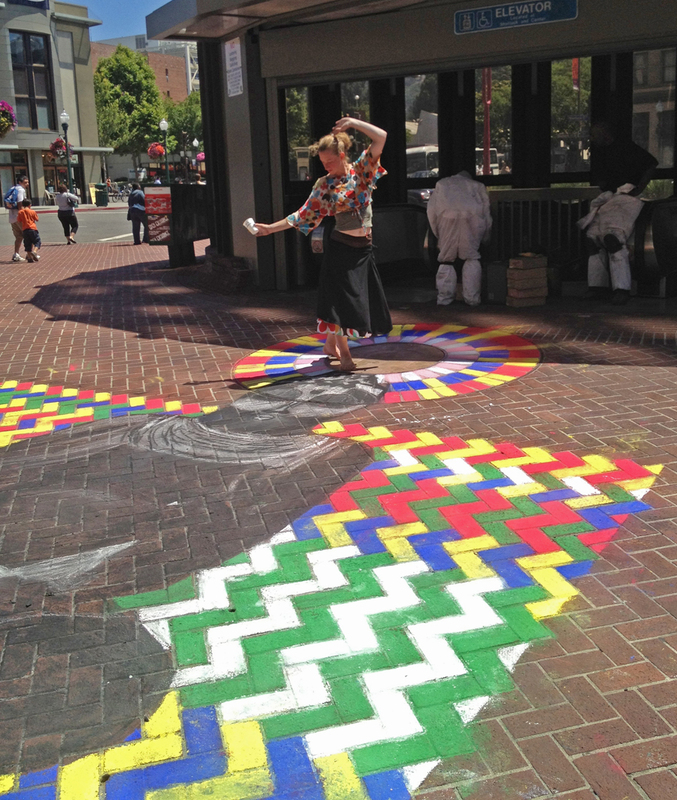 We all met and chalked Buddha near the Ashby BART without incident other than one looney, preaching woman. 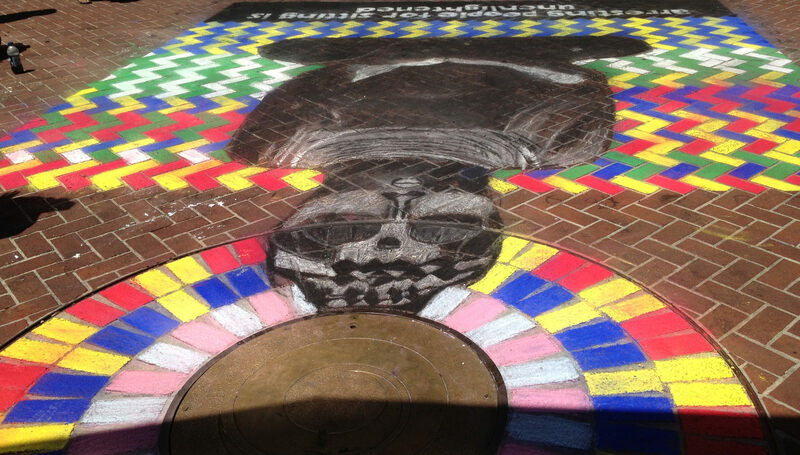 The herringbone bricks on the sidewalk there are diffi cult to work with but the manhole cover made a great halo for Buddha. 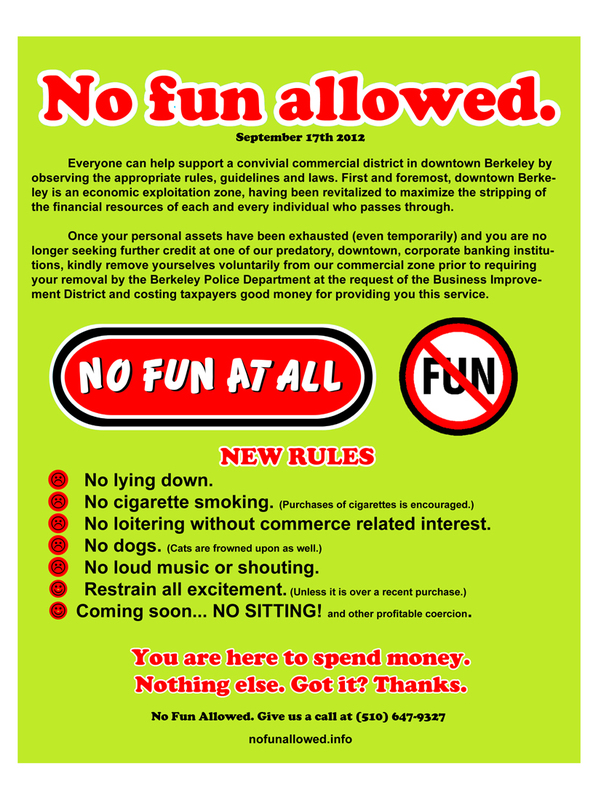 I also made a poster that said “No Fun Allowed” that linked to a site with a similar message. It looked a lot like the Business Improvement District’s designs, the BID being the originators of said proposed law. The law did not pass. 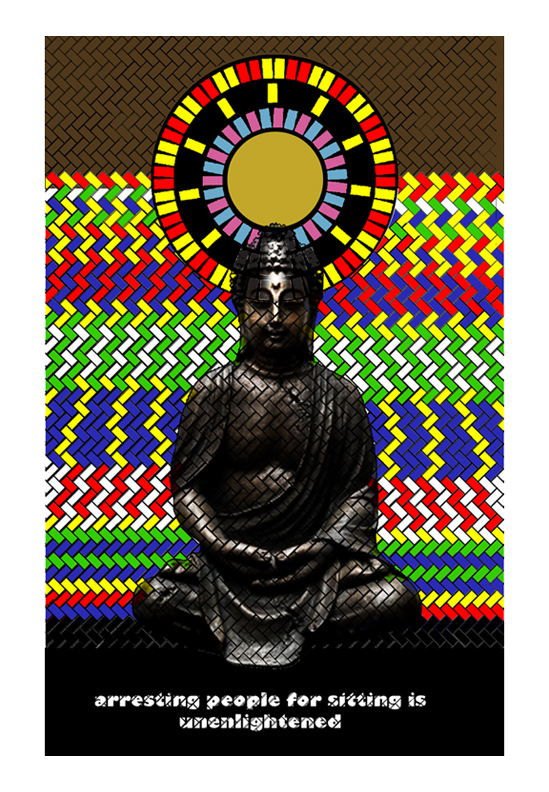 I also bought lots of little plastic Buddhas and put them here and there. The no-sitting ordinance lost and Jim went on to organize his own chalks.